Haunted by an old family photo of her mother and a high-ranking Nazi officer, historian Trudy Swenson begins to dig deep into the past to uncover the wartime experiences her mother refuses to talk about. 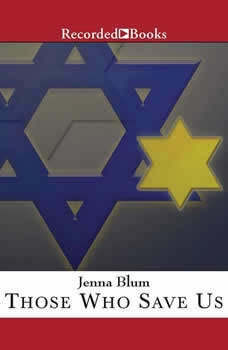 Author Jenna Blum has worked for Steven Spielberg's Shoah Foundation for four years. Her novel received exceptional reviews from Booklist and Publishers Weekly. Beautifully written, with a luminous sense of time and place, Water for Elephants tells of love in a world in which love's a luxury few can afford.